Includes golf cart, range balls, contest entry, catered lunch, one drink ticket and admission to the 19th Hole Fiesta per person. This also includes an additional fiesta admission ticket. Includes golf cart, range balls, contest entry, catered lunch, one drink ticket and admission to the 19th Hole Fiesta per person. 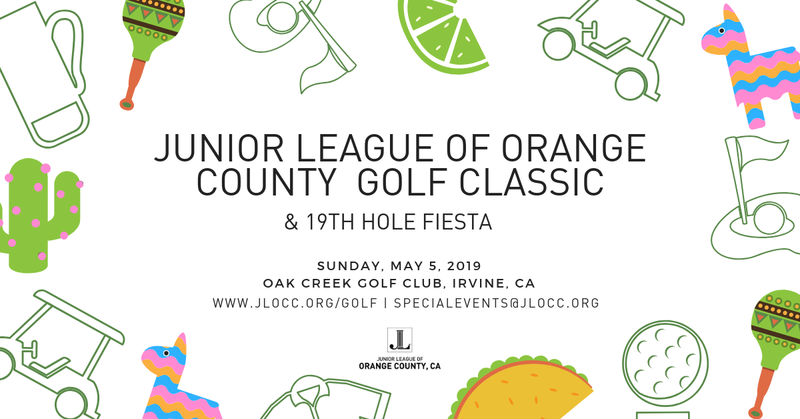 Additional Donation to Junior League of Orange County, California to support it's mission. JLOCC is committed to promoting voluntarism, developing the potential of women, and improving the community through the effective action and leadership of trained volunteers.